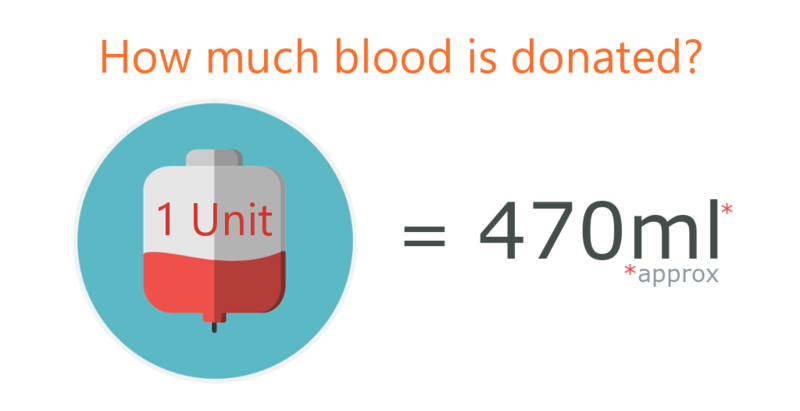 A donor usually gives just under half a litre of blood per donation. 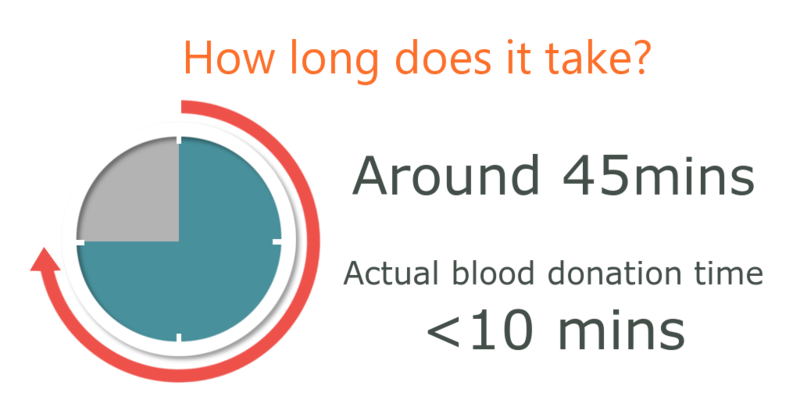 Lost fluid is quickly made up in the body – plasma in 12-18 hours, cells in a few weeks. When you arrive you to reception desk. Complete the Donor Registration form and Health Questionnaire. A Health Check conducted by member of nursing staff. You are called when it is your time to donate. The actual donation time lasts less than 10 minutes. Afterwards you rest for a short period to ensure everything is okay. Donors are given refreshments – cold drink and biscuits. Whole blood can be donated at any of our sessions held across Northern Ireland. Our Headquarters building in the grounds of the Belfast City Hospital. 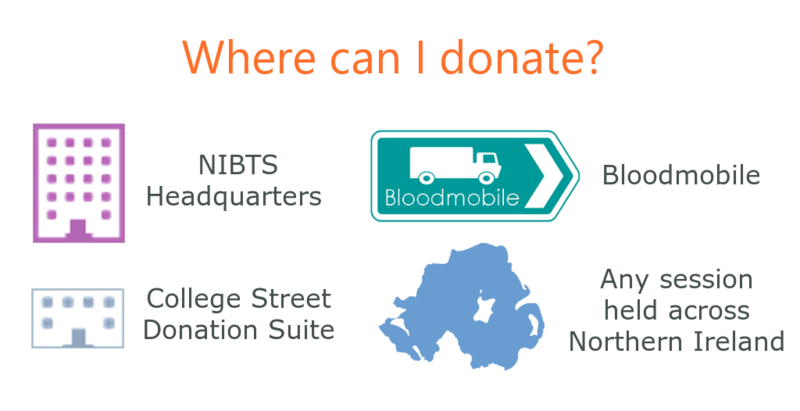 Our College Street Donation Suite, located in Belfast City Centre. The Bloodmobile our mobile Donation Suite. Any of our regular donation venues update to date details of which can be found on our Where to donate page. 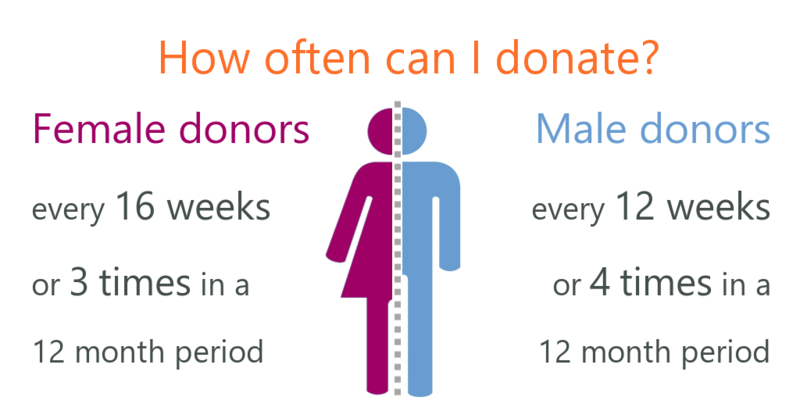 Female blood donors can give blood every 16 weeks (every 4 months or 3 times in a 12 month period). Male blood donors can now give blood every 12 weeks (every 3 months or 4 times in a 12 month period). NIBTS will however continue to send out invitations to both male and female blood donors approximately every 16 weeks.